TortoiseForum.org - Watch this nice video of a handsome Aldabra tortoise taking a walk around its yard. 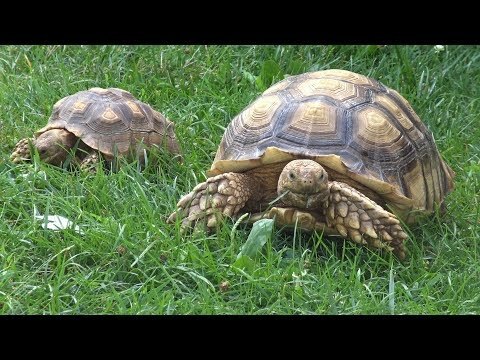 TortoiseForum.org - Watch this video of several sulcata and Russian tortoises exploring and grazing in their owner’s backyard. TortoiseForum.org - Follow the links to read the heartwarming story and see the beautiful pictures of a handsome sulcata tortoise who did his part to help those with autism. TortoiseForum.org - Follow along with the handsome sulcata tortoise named Walking Rock as he takes advantage of the mild Texas winter for a leisurely stroll around the garden.